Central District, as the names suggests, is the main business and commercial district of Hong Kong Island. One of the earliest areas to be developed, today Central is a heady mix of new and old, packed with skyscrapers next to historical landmarks, swanky malls near traditional shops, and a constantly evolving retail, dining, and nightlife scene. Central features some of Hong Kong’s top attractions. Don’t miss riding the Peak Tram up to Victoria Peak for some of the best views in town. Shoppers will find many opportunities to indulge in retail therapy, from the boutiques of Hollywood Road to numerous designer shops in high-end malls. Those looking to eat, drink, and be merry can find plenty to sate their appetites in trendy SoHo or Lan Kwai Fong, ever popular with expatriates and visitors. City tours, whether aboard a historical tram or a hop-on hop-off bus, make a number of stops in the district. Walking tours can feature both well-known highlights and hidden gems off the beaten path and are a great way to get a more in-depth perspective. Foodies will delight in the multiple food-tour options. Central is a must-visit for first-time visitors to Hong Kong. Wear comfortable shoes and prepare to walk. Some of the terrain in Central is hilly and steep. It’s a good idea to carry an umbrella, as weather can be unpredictable. Central is a major transport hub, where the MTR, buses, trams, and ferries all stop and connect to different parts of the city. The Airport Express links the airport to Central in less than 30 minutes, and taxis are easy and plentiful. Taking the Star Ferry across Victoria Harbour between Kowloon and Central is an iconic experience for visitors. The best times to visit Central are between February and May and between October and December, when the temperatures are at their most pleasant. Summer tends to be hot and humid, and winter, while not extremely cold, is damp and can be uncomfortable. Walking is a great way to experience Central. Given the hilly terrain and often-wet weather, visitors should take advantage of the Central–Mid-Level Escalator and the numerous elevated walkways connecting key buildings in the district. The Central–Mid-Level Escalator is the world’s longest covered escalator and a great option when going uphill in Central. Using the elevated walkways (and going through buildings), it is possible to go all the way from Statue Square to the Macau Ferry Terminal without having to be exposed to the elements. One of Hong Kong's first food trucks, Pineapple Canteen made a splash when it rolled out and is still one of the city's most popular local food stalls today. The food truck drives about the city, dropping by popular tourist spots - perfect when you're out and about exploring Hong Kong. Enjoy the delicious sweet bread treats at a discount, exclusively for customers! Simply show your ticket voucher to the cashier when ordering. What better way to explore a new city than with a tasty snack in hand? Not just a warming beverage, coffee has become an integral part of one’s hectic lifestyle. Since our founder Tom Nier brought the American coffee culture to Hong Kong in 1992, we have devoted to providing an affordable yet luxury coffee experience with an East meets West concept and expanding our coffee selection with quality as our first priority. The venerable Peak Tram is, as most passengers agree, the only way to truly experience the beauty of Hong Kong's natural wonders. Tens of millions of people from every corner of the globe have taken the ride, which affords a uniquely spectacular perspective of the city. Standing at 428 metres above sea level, it is the highest viewing platform in Hong Kong. Discover Hong Kong from sky, sea, and land on an action-packed, 6-hour evening tour. After a hotel pickup, you’ll ride on the Hong Kong Observation Wheel to see Victoria Harbour from above. Travel to the bustling Temple Street market in Kowloon, then sit down to a gourmet buffet of international dishes aboard the Harbour Cruise Bauhinia. Live music and dancing cap off your evening in Hong Kong. Wander through Hong Kong’s Central and Sheung Wan neighborhoods on this incredible four-hour tour that showcases the tastes and flavors of Asia. Go off the beaten path and sample food from six different culinary destinations as you follow your expert local guide through back alleys and open markets. You’ll taste traditional dim sum, noodles and sweet desserts, plus wind through colonial architecture and learn about the city’s colorful history. With a small group cap of 12 people you’re sure to have a personalized experience. Hong Kong's Instagram worthy street art tour! The transient nature of street means that, unless you’re a local, it’s often difficult to know the location of murals. Discover the best of Hong Kong’s urban art scene on a tour that reveals the hidden gems of the island metropolis. Exploring on foot gives you a more intimate glimpse into the area and results in fantastic photographs to upload to social media. Explore the colonial past and cosmopolitan present during this informative small-group walking tour through the streets of Hong Kong. You’ll get an up close look at the Central Business District and beautiful Hong Kong Park, as well make stops at Possession Point, the Blooming Bauhinia sculpture and the famous Fringe Club during this popular tour. Your expert guide will offer insight and history as you wander through this dynamic destination. Experience tradition and culture in Kowloon’s busy markets, exploring Stanley and Aberdeen and the neon spectacle of Nathan Road which ends with a fantastic view of ‘Symphony of Lights’. With personal commentary in a choice of 10 languages and a variety of additional benefits, including return tickets on the Star Ferry, Sampan ride and a choice of Peak Tram Sky Pass or Sky100 Hong Kong observation deck admission, customers can experience Hong Kong at their own pace. Immerse yourself in Hong Kong’s culinary culture during a food tour with your knowledgeable guide. Mainly Cantonese, Hong Kong cuisine features small differences that reflect the city’s mixture of Chinese and British heritage. During five stops, sample dim sum, wonton noodle soup, milk tea, roasted meat, and an egg tart. As you eat, learn about the history of food in Hong Kong, from traditional Guangzhou to Western influences from the 1950s. Grab your passport and hop on a high-speed bullet train to Hong Kong on this private tour from Guangzhou. Accompanied by your private guide, spend a full day exploring the island’s highlights, from the glitzy metropolis to the villa-lined beaches. Ride the funicular to Victoria Peak for a dramatic aerial view of Victoria bay, relax on the beach at Repulse Bay and take a sampan cruise from Aberdeen Harbour. Finally, haggle for souvenirs at the huge Stanley Market, browse the colorful Ladies’ Market or visit the landmark Wong Tai Sin Temple. Explore Hong Kong in depth with a combination tour that includes two half-day tours: a Hong Kong island sightseeing tour and a walking tour of the Sheung Wan District. This Super Saver tour offers a comprehensive overview of the most famous landmarks in Hong Kong, including Aberdeen, Stanley Market and Victoria Peak Tram. Then go in depth as you discover the hidden gems of Sheung Wan district on foot with your guide. You can schedule your tours on consecutive days or not, it’s up to you. Enlighten your taste buds on this private, 4-hour food tour in Hong Kong. If you already know of food specific to the area you’d like to try, you can customize your own itinerary, or you can leave the planning to your guide who knows some of the best places in the area to try some of the best food. Your guide can also show you eateries and food trucks where some of the most unique delicacies of Hong Kong are served. With such a varied culinary scene, it’s often hard to ensure you’re eating the best food Hong Kong has to offer. Guarantee some of the city’s best dim sum on a small-group food tour, ideal for lovers of Chinese cuisine. In a small group limited to 10, you’ll visit one of the most notable dim sum parlours in Hong Kong and sample local delicacies from a menu of more than 30 dim sum. Learn about the culinary culture of Hong Kong on a private food tour with a knowledgeable guide. Primarily Cantonese Chinese, the local cuisine features small differences that reflect the city’s combination of Chinese and British history. Across five stops, you’ll sample dishes such as dim sum, wonton noodle soup, milk tea and an egg tart. As you eat, you’ll also learn about the history of food in Hong Kong, from traditional Guangzhou to Western influences. Experience Hong Kong through the eyes of a local who has spent his whole life in the city. Your guide will tell you all about the history and present-day life in Hong Kong from his own perspective. Travel on public transit and see how ordinary people live and work. Stop at some of the most important locations, buildings, and viewpoints throughout the city to admire the cityscape and listen to stories. Create unique travel memories in Hong Kong donning a Chinese traditional costume, the "QiPao". The QiPao became popular in the '30s, and with its neckline, sleeve length, and slits, it symbolized the beauty of a woman's unique power. This figure-hugging symbol of femininity is something you won't see around in shopping malls. In this QiPao rental and photography experience, you can choose from over 200 different pieces of QiPao with a variety of designs and sizes, as well as accessories and props, and have a professional photographer capture the best candid moments of you and your family or friends—even the kids. A professional stylist will give you that '60s Hong Kong vibe, while a stunning backdrop of indoor scenes will enhance your photos. You'll look as if you truly went back to old Hong Kong! Hong Kong is a gastronomic paradise—where haute cuisine coexists with Michelin-starred dim sum. This tour will explore some of the best Cantonese cuisine has to offer, while examining some of the distinct features influenced by British rule. We may sample roast goose, dim sum, or snack on a pineapple bun (which, curiously, contains no pineapple). We may admire produce at a street market before indulging in an egg tart or HK style French toast, washed down with milk tea (an English import, naturally). By the end of our time, we'll be both quite sated and better educated on local cuisine. Forget all the common tourist pub crawl sites. I'm going to show you how we really party in Hong Kong. If you’re also looking to up you’re Insta game, there are plenty of bars in Hong Kong with seriously cool interiors that can lend a helping hand. Spots both new and old are upping the ante when it comes to nailing the aesthetics, giving us the perfect backdrop for our latest gram. From millennial pink rooms and neon signs to stunning harbour views, I'll take you to selected cocktail bars exclusively and elusive bars in Central proposing different themes and atmospheres in order to discover their universe. I'd be delighted to share with you some of my hand-picked off the radar bars I've chosen for your enjoyment in my creative guide to Hong Kong map. Trust me, these are some of Hong Kong's rarest finds. You'll experience a tailor-made evening from a cool rooftop lounge with an amazing view or hidden speakeasies, or a vibrant club. 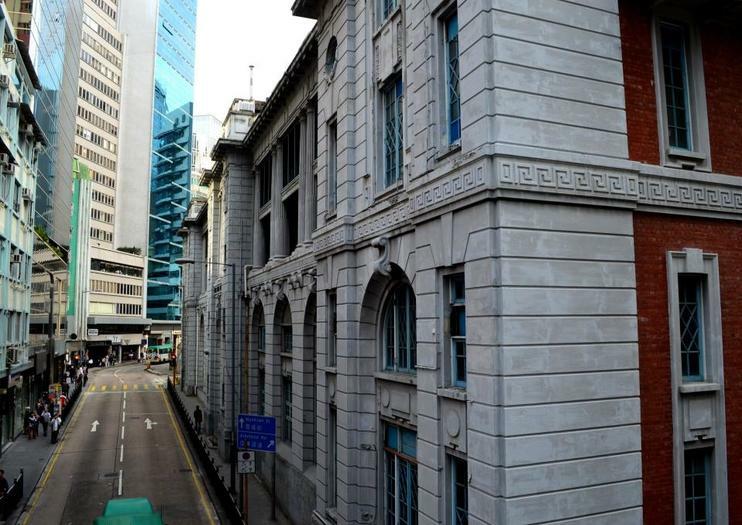 This tour will allow us to recount fascinating stories lived by great people who made Hong Kong the city it is today.Your private tour guide will go through Colonial, Muslim, Catholic, Anglican and Jewish cemeteries. Hong Kong is a dynamic, constantly changing city. This tour will help to reveal the contemporary city, beginning with a ferry ride from Central to Kowloon. Walking through the more luxurious section of Kowloon, we'll discuss the neighborhood's history and culture before visiting Chungking Mansions, a famed towering apartment block. This will prove fertile ground for revealing the surprisingly multiculturalism of Hong Kong, with its nearby mosque and prominent Indian population. We may then sample some local treats, ending in Jordan, the buzzing epicenter of Hong Kong youth culture, where we'll look towards its future.